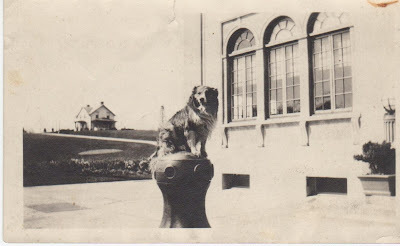 Did you ever wonder who lives in the white house on the hill in the garden at the Chittenden Locks? 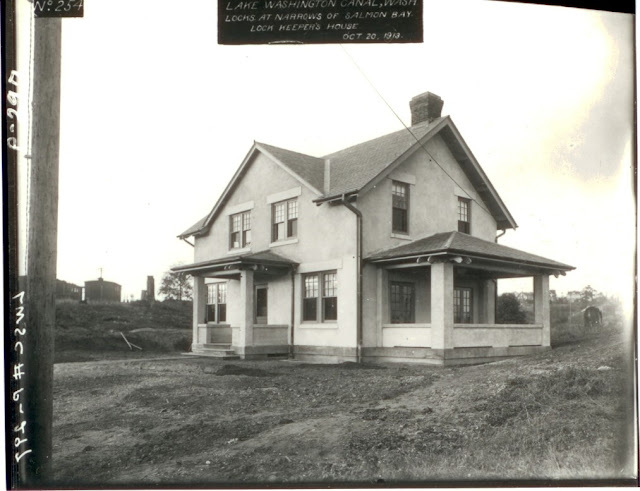 Cavanaugh House, named for Col. James Bates Cavanaugh, the engineer in charge of locks construction from 1911 to 1917, is home to the Army Corps of Engineer’s Chief Engineer during their 3-year tenure with the Seattle District. Photo 2: Cavanaugh’s signature on house blueprints; every drawing and blueprint for the locks was hand drawn and bears Cavanaugh’s signature of approval. Completed in 1913 for a total cost of $7,840, it was one of the first concrete homes built in Seattle. There is no specific architect named on the drawings, but it is a modest, symmetric design common to the era. Amazingly, it was completed within 75 days of the construction contract being signed. Originally it was intended to be the home for the Locks’ electrician so they would be close at hand if a fuse blew any time day or night. However most electricians already lived nearby and chose to stay in their own homes. The house went unoccupied for long periods of time and fell into disrepair. 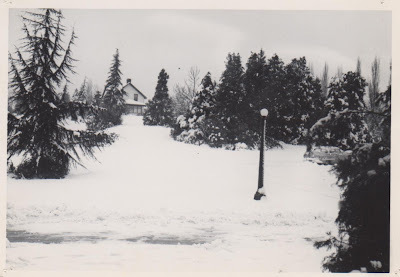 In 1966 it was proposed that the house be renovated to become the official residence of the Chief Engineer/Seattle District. Upon completion of the remodel it was dedicated as Cavanaugh House on January 16, 1967 and a permanent plaque installed December 10, 1974. 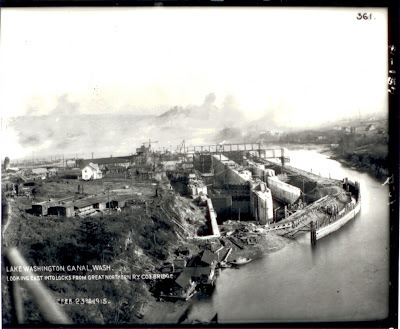 Photo 3: By February of 1915, the lock walls are formed, smoke from the sawmills around Salmon Bay hovers in the background. Photo 4: Note the construction progress in October 1915, the lower cofferdam has been removed and the north terraces have been graded. 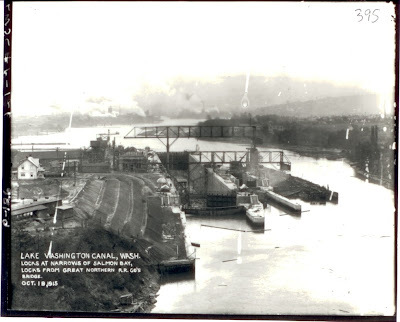 As the first completed structure of the huge Lake Washington Ship Canal project, early photos show the house standing isolated among the chaos of locks construction. Gradually it was surrounded by the locks structures and as Carl S. English, Jr. developed the gardens it became part of the landscape. While situated in a public garden, Cavanaugh House is a private home and is closed to the public. Photo 5: This photo ca. 1920 taken from the south side of the administration building shows the house standing proudly on the hill. Photo 6: In this photo ca. 1950 we see the handiwork of Carl English Jr.
Photo 7: Cavanaugh House today. The name Hiram Chittenden is familiar to the local populace but James B. Cavanaugh is lesser known. Both men were extraordinary engineers who made valuable contributions to our city and our country. Check the previous blog article about Chittenden and stay tuned for more about Colonel Cavanaugh coming soon.